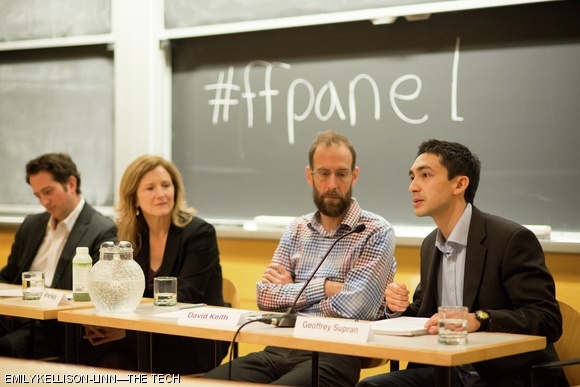 Geoffrey J. Supran G speaks about his passion for science at a panel discussion hosted by Fossil Free MIT on Thursday evening. During the event, panelists discussed the pros and cons of divesting from fossil fuel stocks as a strategy for fighting climate change. The discussion comes as Fossil Free MIT is calling for MIT to divest from fossil fuels.